One of the cathode-ray TVs I was using for GIF display in my Honey Ramka show failed shortly after the opening, emitting, as the gallery described it via email, "a distressing high-pitch sound from the back & a nasty burning smell." New in box, under $100. 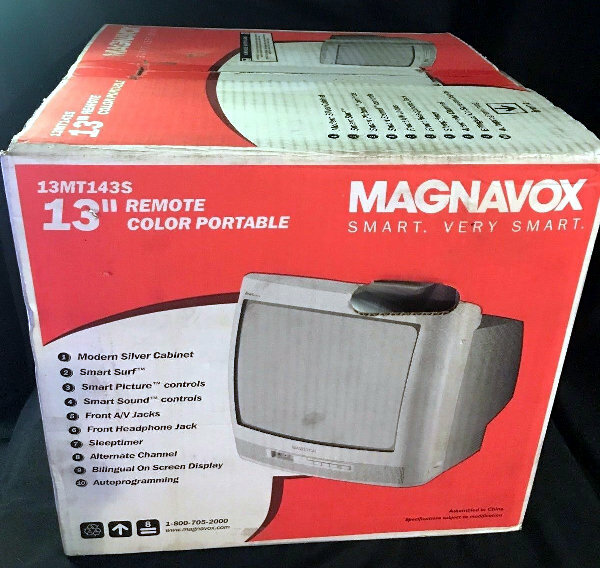 One thing I learned in my research is that many sellers of unwanted CRTs describe them as "perfect for retro gaming." That makes sense for me, since I am using them to show looping animated GIFs with a strong "pixel art" component. On unboxing the Magnavox (no, I didn't do an unboxing video) and connecting a DVD player I discovered this TV cropped about 5 percent off the left side of my perfectly-centered looping GIF. Not acceptable. This necessitated burning a new DVD with a slight offset to the right. My video editing software is too primitive to do this, so I had to do a Rube Goldberg sequence of: resizing the GIF "canvas" and overlaying the GIF slightly off-center; screen-capturing 2 minutes of the GIF looping as an .avi file; exporting the .avi in lossless mode to keep the pixels sharp (especially since the conversion to DVD muddies them slightly); loading the .avi into a Windows 7 DVD-authoring program called "DVD Flick" (hat tip Paul Slocum); burning to disc. Voila, a centered GIF on the Magnavox.